Monday 7th, Tuesday 8th & Wednesday 9th September 2015 in the Q1 Resort and Spa in the centre of Surfers Paradise. 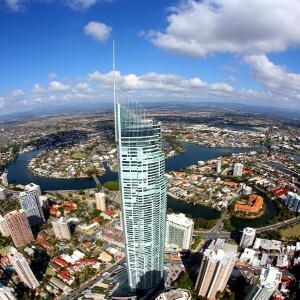 The cloud-scraping Q1 Tower, which opened in 2005, is one of the world’s tallest residential towers, and one of the Gold Coast’s most distinctive architectural landmarks. Get together with Colleagues from around the world and discuss the good, the bad and the ugly, but walk away with a clear insight on how to move your business forward. The two day/3 night event will involve numerous speakers from both within and external to the industry. Use this as an opportunity to broaden your mind. Mark the dates in your diary. If you have any speaker, topic or conference suggestions, please send them through. Gold Coast City is an Australian Phenomenon. Within the space of fifty years, the city has grown from a small beachside holiday destination to Australia’s sixth largest city, and is still growing. Situated within one of the fastest and most sustained population growth and urban development regions, Gold Coast City’s contribution to Australia’s economic output has increased in line with its growth. This growth has translated into thriving tourism and urban development sectors and has boosted the expansion of the city’s economic base across a diverse range of industries. 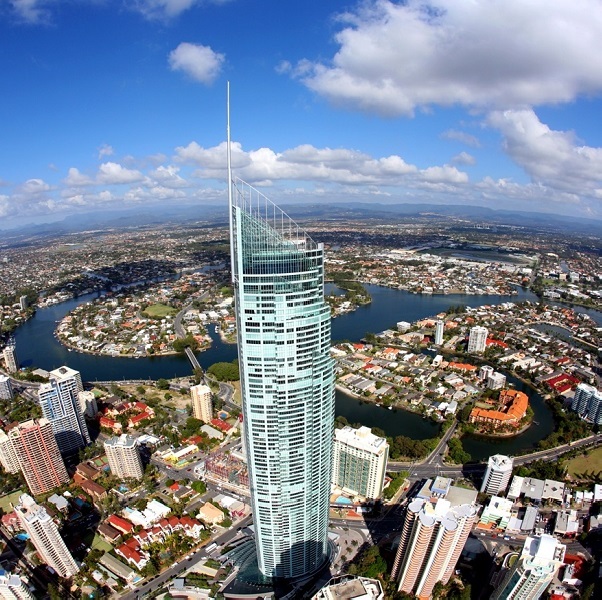 Economically, Gold Coast City is now considered Australia’s growth hot spot. Population-driven economic growth is providing significant opportunities for investors and businesses looking to establish or individuals to relocate here. Gold Coast City is home to a wide array of natural attractions and a broad range of well-developed tourism services and infrastructure, including theme parks, restaurants, wineries, shopping and international golf courses. The city continues to host about eleven million visitors every year playing a disproportionately large role in Australia’s tourism industry comparative to its size. No other Australian city invests as much into tourism. Strategically located at the edge of the Asia Pacific region, Gold Coast City is situated in the middle of the booming South East Queensland corridor, a catchment of almost 3 million people. The Gold Coast is Australia at its best. Experience the largest selection of beaches, sub-tropical rainforest, theme parks, nightlife, shopping and attractions in one accessible destination. Over 300 days of sunshine every year and an average temperature of 23 degrees Celsius (73 degrees Fahrenheit) makes the Gold Coast a year round amazing place to live. Gold Coast City is the home to a large number of timeshare businesses in Australia including Wyndham Vacation Resorts Asia Pacific, Accor Vacation Club, Classic Holidays, RCI, Dial An Exchange and the Holiday Club. It is also home to over a dozen timeshare resorts. Minister for Trade and Investment Andrew Robb has announced new measures aimed at ensuring Australia is best placed to capture the rapidly increasing Chinese tourist market. Mr Robb said the release today of a revised ‘Code of Business Standards and Ethics’ for Inbound Tour Operators (ITOs), will ensure Australia maintains its Approved Destination Status (ADS) with the Chinese Government. 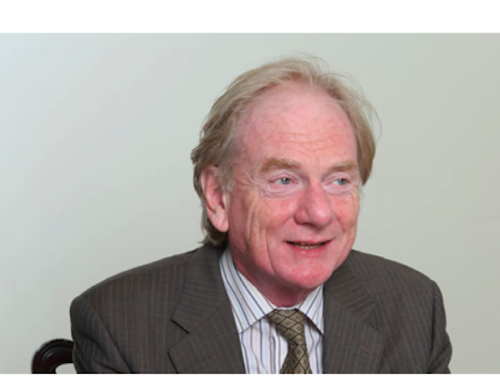 “With Chinese tourists now our topspending international visitors, it’s important we continue providing the kinds of experiences they demand,” Mr Robb said. “The release of the new Code will help ensure Australia remains an attractive and popular destination for the group-tour market from China,” he said. Australia’s ADS is a bilateral arrangement with the Chinese Government. Under the scheme, China has granted approval for its nationals to visit Australia in tour-groups. ITOs operating in this market must first be approved, and must also abide by a Code set out under the scheme. 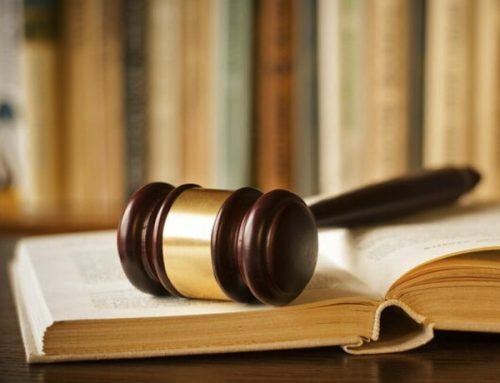 The new Code released today has been simplified to make it easier for tour operators to understand their requirements, and now also includes a demerit points system aimed at encouraging compliance with the Code. The Code has also been extended to cover tour guides, ensuring their qualifications match the needs of the market. “In 2013-14, there were 761,400 Chinese visitors to Australia, with a total tourism spend of $5.3 billion,” Mr Robb said. Tourism Research Australia (TRA) expects inbound arrivals from China to more than double by 2022-23 to 1.49 million. “Maintaining quality, while reducing red tape is vital to achieving our Tourism 2020 target of doubling overnight visitor expenditure to between $115 billion and $140 billion, which will help grow the industry and create jobs across the nation,” Mr Robb said. Austrade updated the Code in response to changing market conditions, including growth in arrivals and growth in the number of tour operators. Austrade consulted with industry and government stakeholders, including China’s National Tourism Administration, during the drafting process. A series of training forums will be held, as well as the publication of information packs in English and Chinese to communicate the changes. Providing software and IT services, predominantly to the timeshare industry, @Work brings over 25 years’ experience to the Beneficium Group. Their Viewpoint Resort Management Software is the leading reservations and property management software used in resorts throughout Australia and New Zealand. 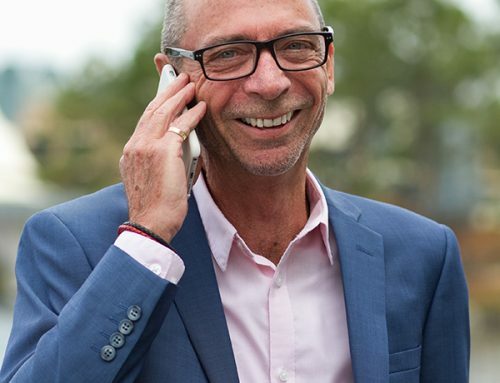 Peter Vanderhorst, Founder and Managing Director of @Work, will continue as Managing Director, and the company will continue to operate out of its offices in Melbourne. The acquisition by Beneficium adds to the group’s global portfolio of business units that offer complementary services. Along with Classic Holidays and DAE (Dial An Exchange), @Work’s innovative software platforms will be positioned to grow market share globally. “This is an exciting acquisition for the Beneficium Group as it provides the opportunity to expand an industryleading Australian product to the world market,” said Beneficium Chairman, Ramy Filo. “@Work was the first to develop a live online booking system for timeshare resorts with an exchange platform interface. DAE’s exchange software, EMS, was developed by @Work, and is the platform for its award winning worldwide exchange system. 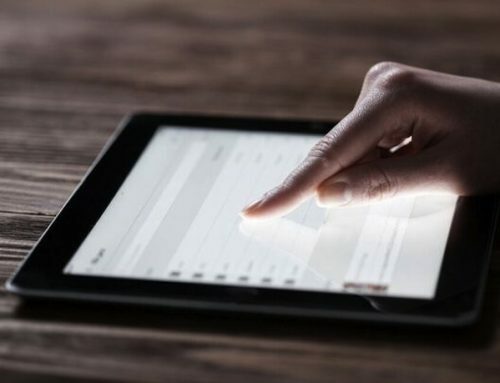 “Through the use of webservice technology, EMS also powers some of the world’s leading timeshare and vacation industry companies under white label arrangements with DAE. This year’s Industry Foundation Golf Day will be held at the Arundel Golf Club on the Gold Coast. to support families and help give back to the community. Since this time over $500,000 has been raised. This year’s golf day will help purchase a specially fitted out mini van for the Musgrave Hill Special School as well as other grants throughout the year. Wyndham Vacation Resorts Asia Pacific has teamed up with the Fiji Beach Volleyball Federation to support the national men’s and women’s teams for three key upcoming tournaments. The Wyndham Kawekis are gearing up to compete in the Beach Volleyball Oceania, AVC Continental Cup and Manly Grand Slam in Sydney, Australia from 13-24 November, which are lead up tournaments to the 2015 Pacific Games and 2016 Olympics. President and Managing Director of Wyndham Vacation Resorts Asia Pacific, Barry Robinson and General Manager at Wyndham Vacation Resorts Denarau Island, Bob Speed announced the sponsorship to the national squad members earlier this week. team the best of luck in their upcoming tournaments,” Mr Robinson said. The team is headed by gold medallist, Wesele Suka and other team members are Mikaele Tuvoli, John Lew, Alivereti Yaya, Lavenia Lewetuitovo, Alitia Tulele, Sera Speed and Temalesi Talei. If the teams are successful at the AVC Continental Cup it will be the first time a Fiji Beach Volleyball team has qualified for the Olympics. RCI recently announced the appointment of Jonathan Mills to the position of managing director of its Asia Pacific region. Mills will serve as a member of RCI’s senior leadership team, leading the execution of strategic priorities across the Asia Pacific market. He will be responsible for driving business growth while delivering value to RCI® members and affiliates in this thriving region. He will be based out of RCI’s Singapore office, and will report directly to Gordon Gurnik, president of RCI. Mills’ previous experience includes a decade-long tenure with InterContinental Hotels Group (IHG), where he most recently served as head of Operations for Holiday Inn Express and IHG Shared Services based in Bangkok, Thailand. During his 25 year career, he has also worked for renowned companies such as Forte & Le Méridien Hotels and Resorts, Sodexho Prestige and Hilton International. Interval International has announced the findings from its first-ever comprehensive profile of members based in Australia and New Zealand. These consumers travel extensively and report high levels of satisfaction with their timeshare resort ownership, which is reflected in the fact that one in five indicate they are likely to purchase additional holiday time in the future. This data is from the Interval International 2014 Australia/New Zealand Membership Profile, which was developed from a sample of Australia and New Zealand resident vacation owners maintaining an active Interval membership. The online study was undertaken to provide insights for use in the development of services and benefits to be offered to Interval members. It may also be useful to resort developers and prospective industry entrants in designing products and developing marketing strategies. Interval’s members in this region spend approximately 33 leisure nights away from home, with more than half (55 percent) of those nights spent on international holidays. The study respondents indicate a preference for travel across Australia and New Zealand, as well as to Europe, the United States, Canada, and Asia, with most members planning to holiday in these regions during the next two years. Respondents report high levels of satisfaction with their holiday ownership, with a significant majority of members reporting they are satisfied and more than one-third reporting they are either “extremely” or “very” satisfied with their holiday ownership. When considering the purchase of additional holiday time, the purchase price and annual maintenance fees are the two most influential factors. The percentage of respondents owning points-based products is significantly higher (62 percent) than reported by Interval members in other regions, such as the United States, where approximately 35 percent of members own some form of a points-based product. This is largely attributable to the fact that since 1999, primarily pointsbased products have been actively sold in Australia and New Zealand. When Island Palms Resort, Magnetic Island (QLD Australia) was officially opened in 1984, it was North Queensland’s first Timeshare resort, offering a whole new holidaying experience for Queenslanders. Thirty years on, and over 100,000 room nights occupied, most of those same people, and of course the many that have since become members, are still excited about their annual Island Palms Resort holiday. With only 12 units, the resort stands apart from larger venues for its ‘family feel’, which is what members comment about the most. According to Resort Managers, Sheena and John Austin the most feedback they receive is about how comfortable and at home the guests feel. What also sets Island Palms Resort apart is the location, next to the beach at Nelly Bay. Compared to the Whitsunday islands, it’s like a small country town, and delightfully a little forgotten by time. It has a real community feel. Even the bus drivers are known by their first names. With 95% occupation rates, Island Palms Resort is a highly sought after Timeshare property in Australia. Nothing better than a great day out of the races, and all in the name of fun! For the third year ATHOC will bring the industry together to sponsor the Australian Timeshare and Holiday Ownership Council race day. With ATHOC and Industry sponsors beamed to over 500,000 people throughout Australia. The new ULTIQA Lifestyle brand sits under the ULTIQA umbrella and offers its members the same great benefits of being part of a worldwide leisure and travel community with the added bonus of accessing better rates at ULTIQA Resorts, which currently has six properties under its management rights portfolio. Headed by Managing Director, Mark Henry commenced re-branding to ULTIQA to better reflect the growth and success of the business model since establishing in Australia in 2001. “ULTIQA is a fresh, new name with a look and feel that embraces the many improvements and innovations introduced for our members over the years. “Due to the success of our resort management company, we have created one brand identity for our two business divisions being ULTIQA Lifestyle and ULTIQA Resorts,” Mr Henry added. “The ULTIQA name is an adaptation of ‘ultra-modern boutique apartments’ and captures the ultimate quality members can expect from our properties and member services whether it be for business or leisure travel. “Whilst the name has changed, ULTIQA Lifestyle members’ benefits remain exactly the same and the company is still part of the well-established, worldwide leisure and travel community. ULTIQA Lifestyle members will still have access to all the benefits they have enjoyed, plus being able to tap into great offers from ULTIQA’s own managed and expanding resort portfolio. “We plan to continue to focus on growth through the acquisition of new properties each year while also broadening our reach to business and conferencing guests through improved online marketing channels and maintaining our existing business channels,” Mr Henry said. “By establishing the ULTIQA brand, we are creating an identity that is both aspirational and attainable and a name that is synonymous with consistent quality, desirable locations and most importantly, excellent member benefits.” Mr Henry added. Prestige golf resort the Mercure Gold Coast Resort, is set for a major renaissance following the completion of a dramatic multimillion dollar hotel upgrade this month. The extensive redesign and upgrade is the first major renovation at the property since it opened its doors almost 17 years ago. The hotel’s general manager, Jamie O’Donnell, who has meticulously overseen the rejuvenation project, says the enhancements reinforce Mercure Gold Coast Resort’s strong position in driving a new generation of sports tourism and business for the region, beyond the beach and hinterland. The dramatic transformation of the Mercure Gold Coast Resort was completed in consultation with one of the country’s leading hotel refurbishment interior design teams In Design International, led by designer Penny del Castillo. The redesign extends to major central facilities and guest rooms, and soft furnishings and AV in the conference space. Renovations in rooms and suites include all furnishings and fittings, and for a contemporary and relaxed resort vibe, boast a modern colour palette with hints of en trend orange in trimmed scatter cushions and designer, deck-chair style fabrics adorning bedheads. The use of natural timber with local Queensland style horizontal groove and slim line furnishings adds a laidback yet sophisticated appeal for guests. Opened as the Radisson Gold Coast Resort in December 1997 and rebranded by the Australia’s largest hotel operator, Accor, in November 2012, the Mercure Gold Coast Resort is ideally situated between the Gold Coast’s legendary beaches and the rainforest retreats of Springbrook and Mt Tamborine.